Mozambique has a history potholed with civil war which led to wildlife crime, like many other African countries that are today, custodians of the continent’s precious resources and cherished wildlife. 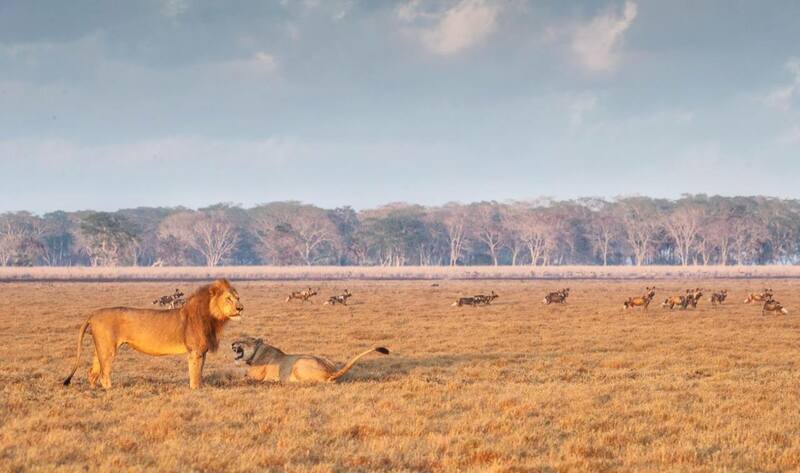 Gorongosa National Park has made one of the greatest comebacks in history, from a natural area persecuted by poaching and neglected during a time of struggle, to what is today Mozambique’s flagship wildlife reserve. The Royal Portfolio – one of South Africa’s leading luxury hotel groups – has now announced the opening of their latest addition: Royal Gorongosa. 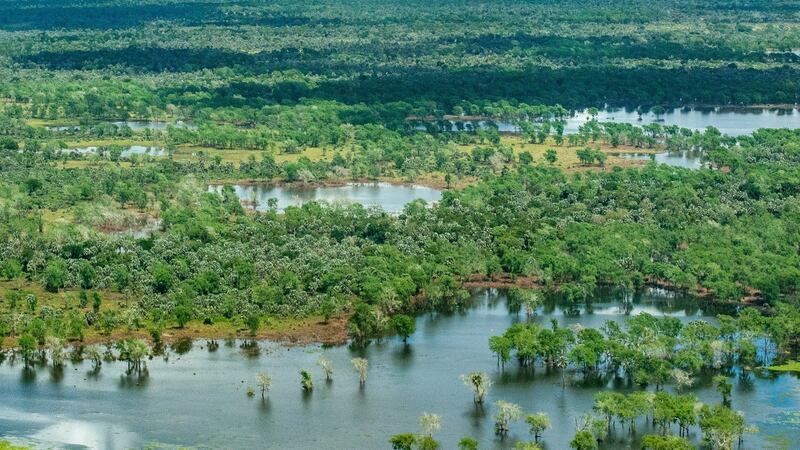 Nestled in the heart of Mozambique, Gorongosa has been named “the place where Noah left his ark”, and documented by National Geographic in “Africa’s Lost Eden”. The park has been brought back from the brink, and its wild places have been restored to their former glory. 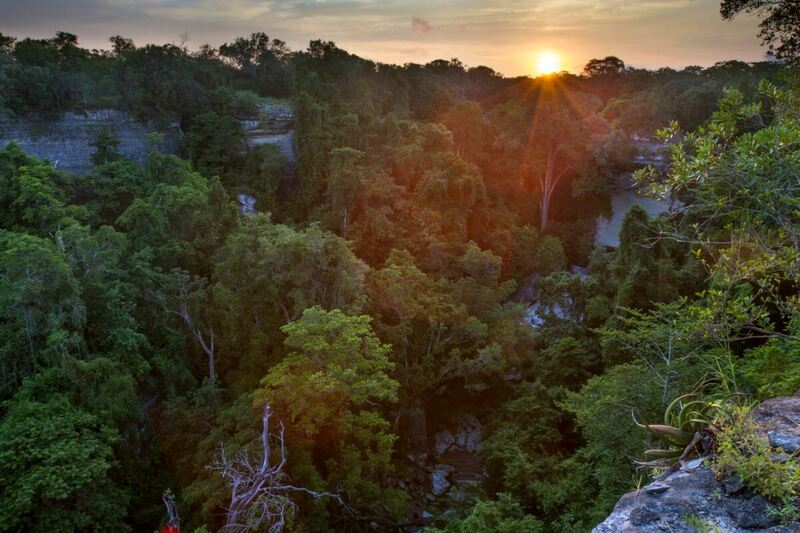 Limestone cliffs tower from the depths of indigenous forests, and rivers cascade through rocky beds, churning and flowing at pace before fanning out and drenching the plains in calm, life-giving water. Hippos and crocodiles jostle in the shallows and elephants submerge themselves in the depths as they cross the channels from one grassy bank to another. Over 500 species of birds occupy the skies and the tree canopies and linger at the water’s edge where they keep a keen eye on the fish and insects moving fleetingly beneath the surface. The open plains and wetlands are bustling with waterbuck, sable, impala, tsessebe, kudu, bushbuck, and nyala. Giraffe, zebra, buffalo, and hyena, lion, leopard, and African wild dog. 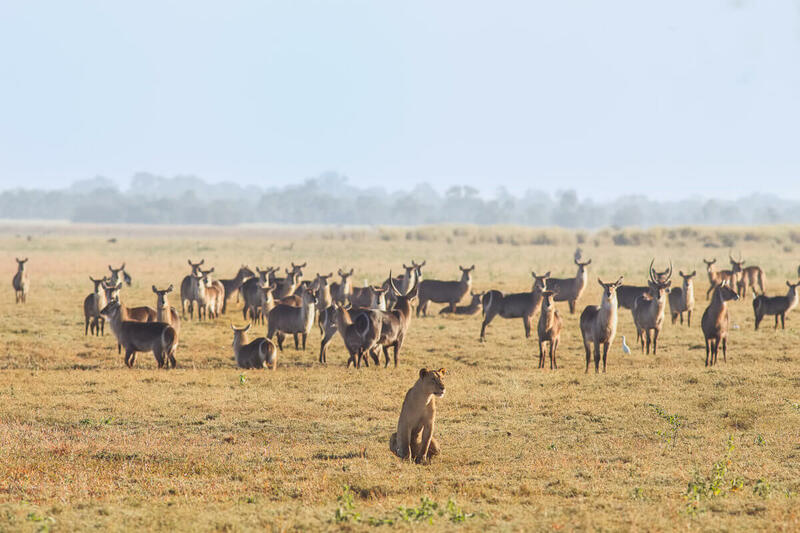 These populations of Africa’s most sought after wildlife species have regenerated in Gorongosa, thanks to the admirable work by the conservation leaders who have guided it back to its original glory. 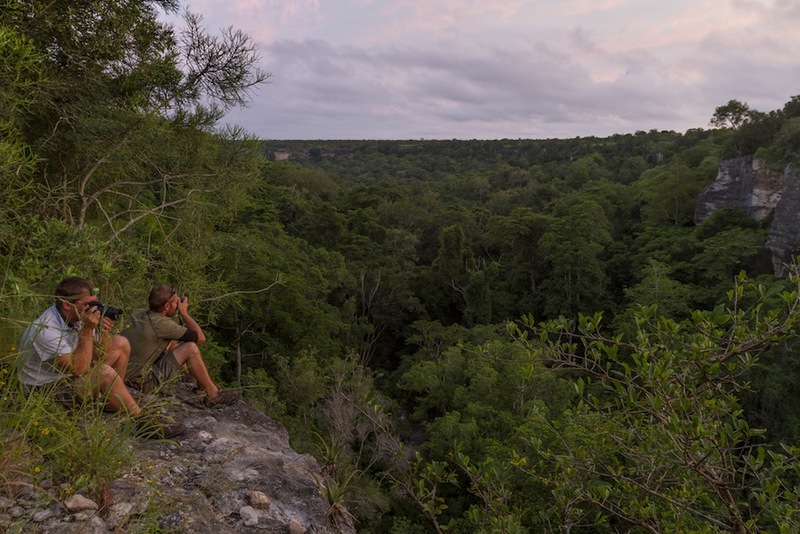 This has been called the “rebirth of paradise” – a deserving and hard-earned title that is a testament to the iconic nature of Mozambique’s Gorongosa. Royal Gorongosa promises to celebrate the area’s rich biodiversity from its location at the southern end of Africa’s Great Rift Valley. The great Pungwe River is the place of peaceful boat cruises, which are completed by picnics on the banks and afternoon fishing excursions. 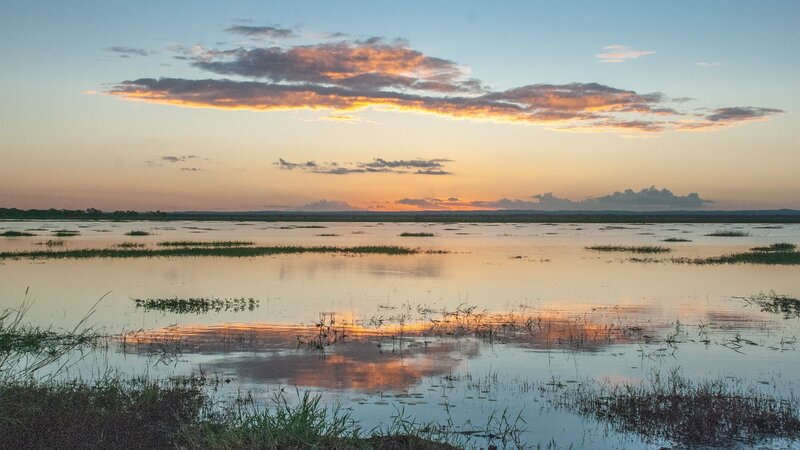 Lake Urema, which is considered the heart of Gorongosa is where all rivers lead, at the southernmost tip of the Great Rift Valley. 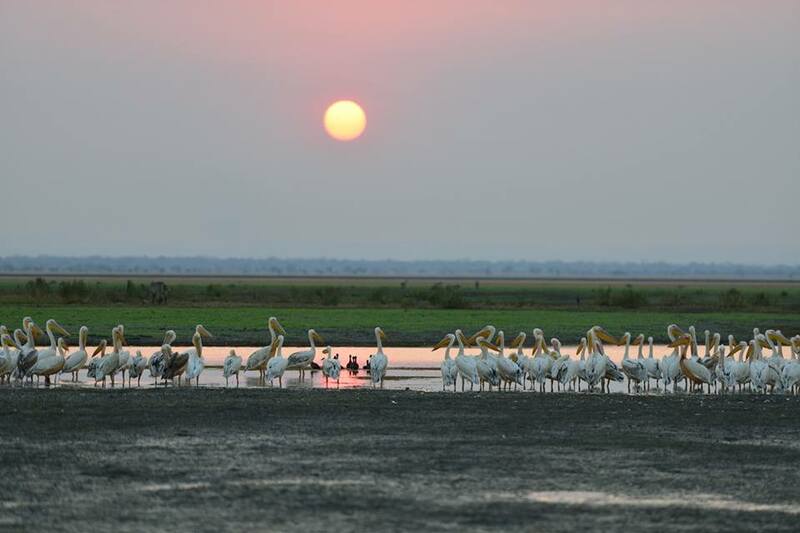 Wildlife congregates at the lake making it more than just a scenic natural paradise, but a hotspot for some world-class game viewing! Mount Gorongosa rises up with gentle slopes that are easy to climb, reaching an elevation of over 1800 metres above sea level. The green-headed oriole is found up here, making this a trip for any serious bird lover. Game drives are more than memorable, especially when the iconic Lion House is incorporated, and bush dinners out in the open will seal the experience with stardust. We are waiting in anticipation for the grand opening of Royal Gorongosa, which will certainly be one of 2019’s safari highlights. 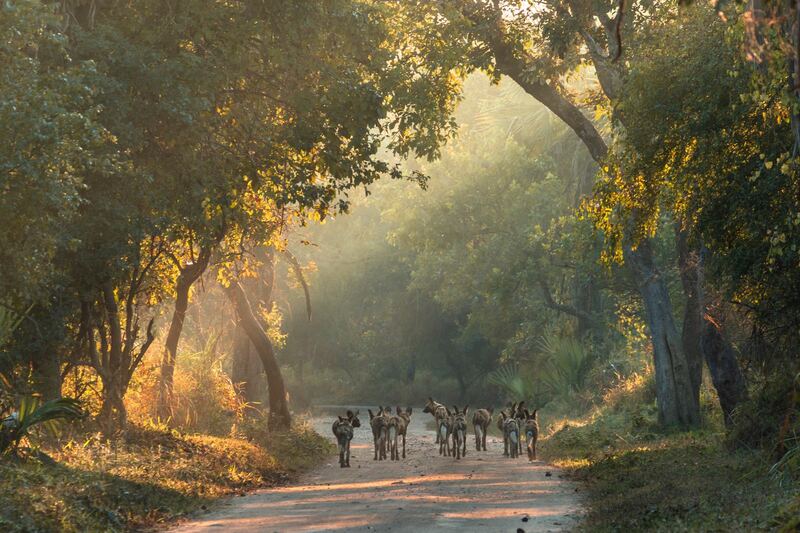 Read about last year’s wild dog reintroduction at Gorongosa here. Curious about the Lion House? Trust us, you want to see these photos.